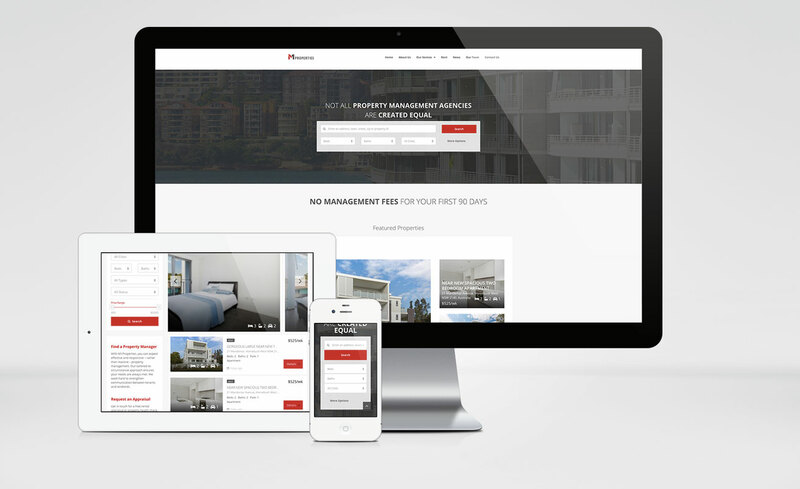 Management One (M1) Properties is a specialised leasing and property management agency, servicing both current and prospective tenants as well as property owners. 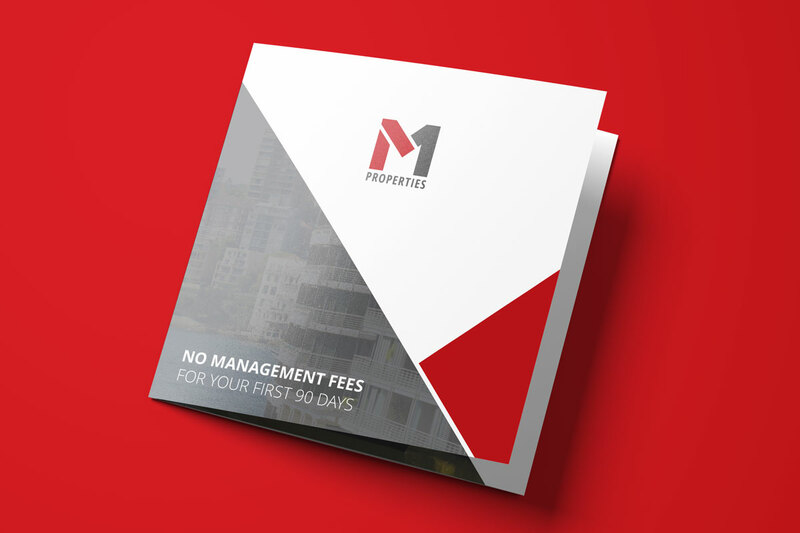 Present M1 Properties as a professional property management firm by updating their tired and unused marketing material. After meeting with the client, the first thing that needed doing was to improve on M1's cheap and nasty logo. 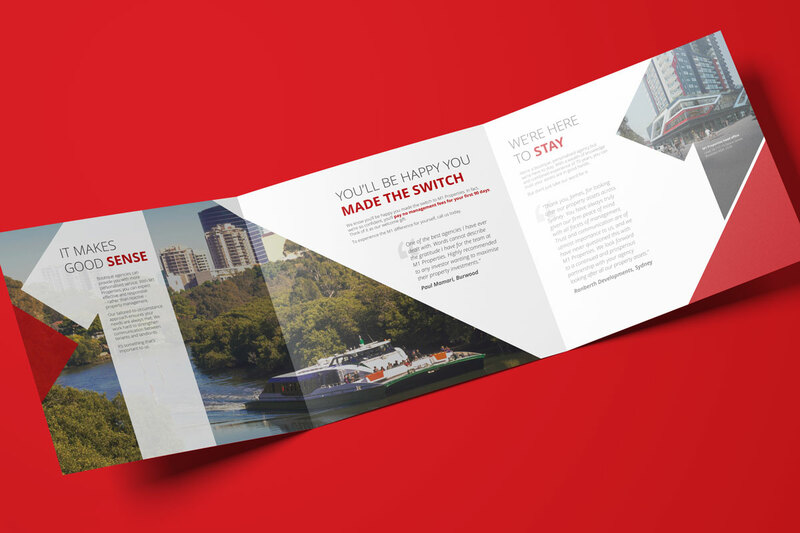 Although this wasn't part of the initial brief, I felt this was necessary in order to deliver the results the client wanted. So rather than reinvent the wheel an evolution of the logo was executed. 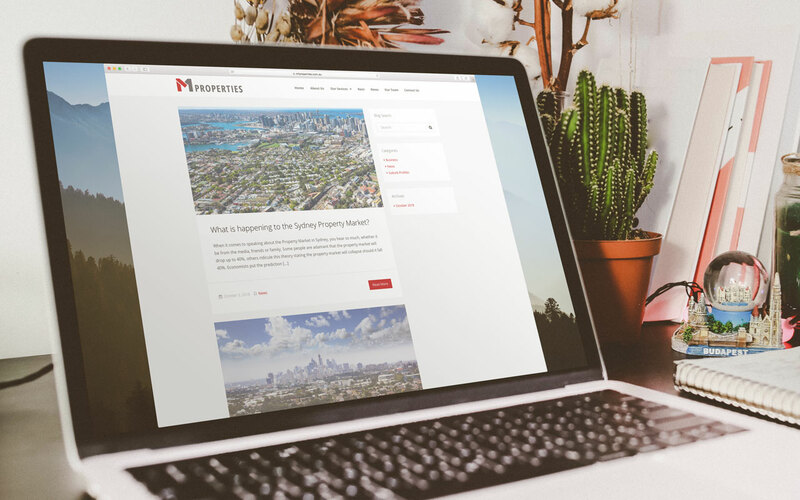 With the opening of a new apartments M1 wanted to capitalise on the opportunity to have their own marketing material included with the official documents one receives when buying a property. 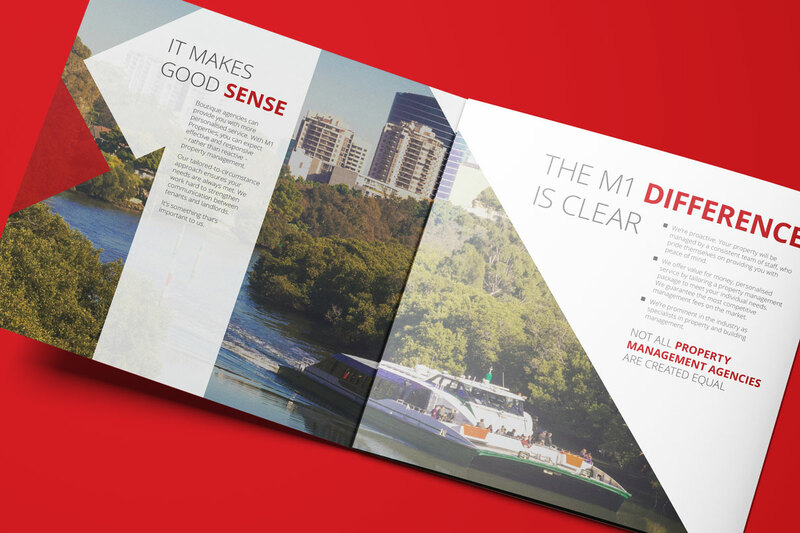 So I conceived tri-fold brochure and content outlining M1's overall services. 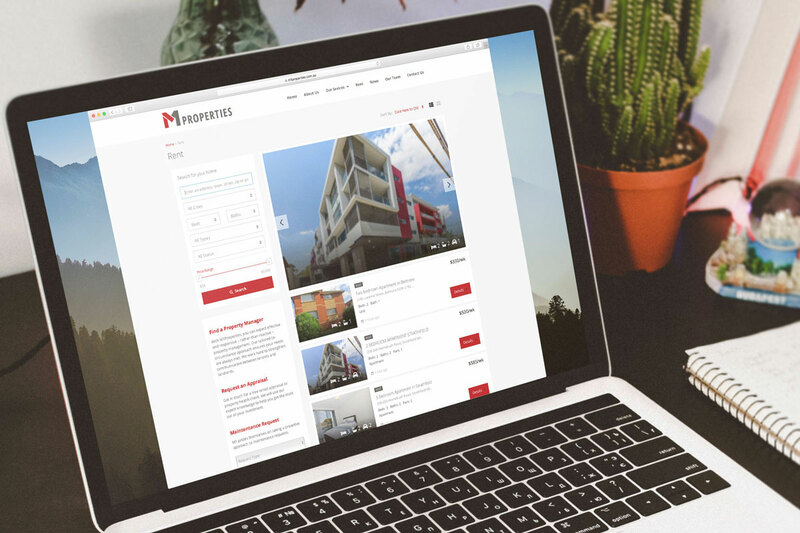 The next part of the project was to redesign the website. 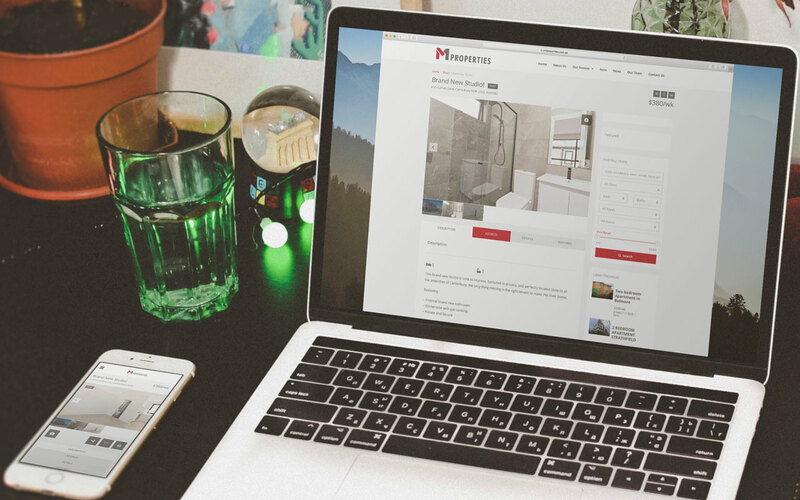 Extensive research of competitors website informed the new design. Where possible better user functionality was used to improve on M1's competitors. 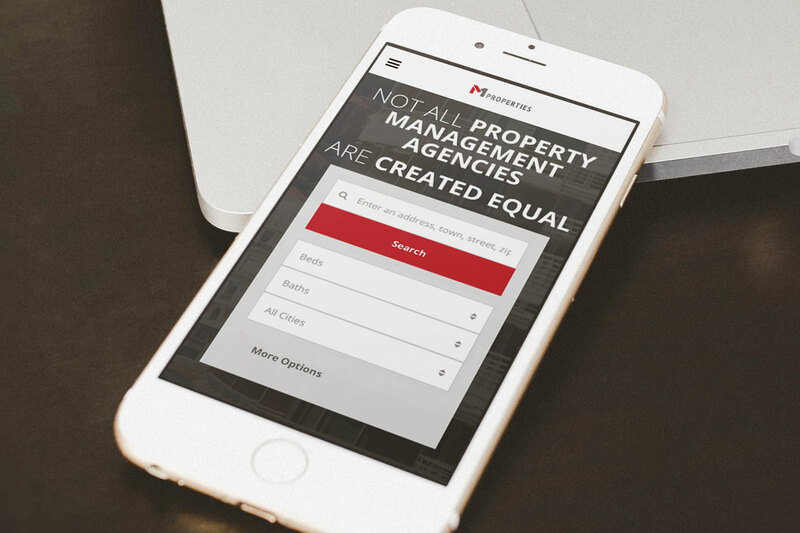 Integration with M1's property management software ensured there was no double handling of listings. 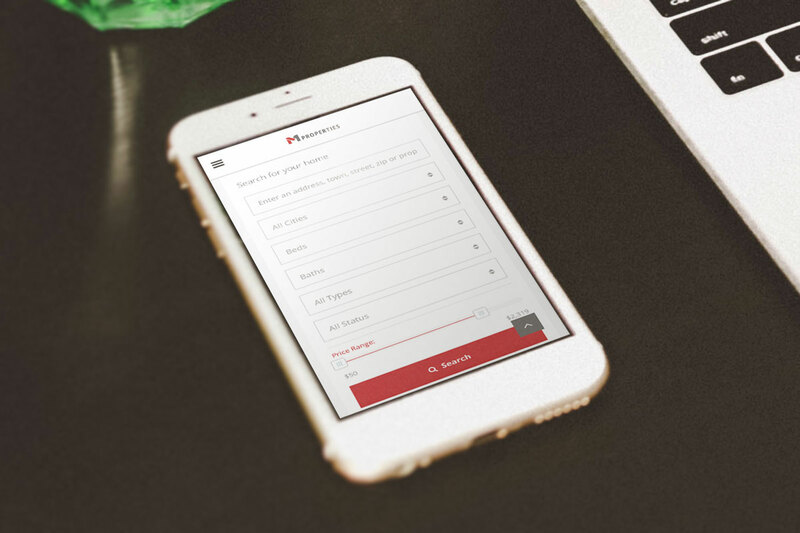 M1 has great client retention and customer service. 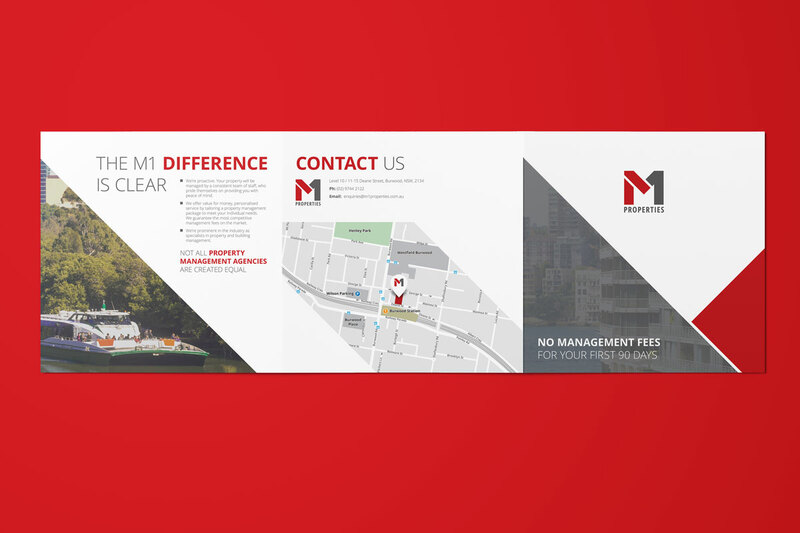 This new identity and professional marketing material has elevated M1 to the same level of customer service they provide resulting in a more trusted brand. 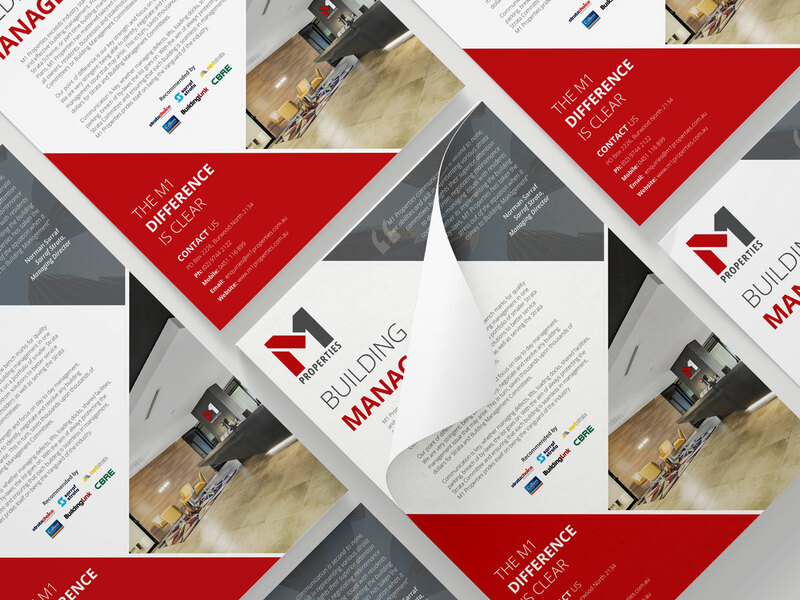 M1 has since opened a new office and is capitalising in the new found confidence they now enjoy.